Thorsmork is one of those places that looks to good to be true. Bright green mountains, volcanic glaciers, raw rugged nature, and braided glacier rivers -this place is literally out of a dream! And when you see it in person, you realize it completely holds up to it’s reputation. Þórsmörk in Icelandic translates into “valley of Thor”. Located in the highlands and nestled between three glaciers, in Thorsmork you can really experience the power of nature and find some of the most incredible scenery in all of Iceland. I’ve had Thorsmork on my radar for a long time, some of my favorite photographers such as Max Rive and Chris Burkard have captured stunning images from this area. As I was making my way through my 2016 Iceland bucket list, I knew we had to schedule a trip here. We went to Thorsmork in July 2016, and got ridiculously lucky with probably the best weather weekend of the entire summer. After three days and two nights hiking through the breathtaking landscapes, camping, and relaxing in the hot springs, I felt like I had only gotten a taste of what the valley has to offer with a desire to go back! If you are even thinking about adding Thorsmork to your Iceland itinerary, DO IT! I cannot recommend this incredible place enough!! The roads that travel interior into the highlands are F-roads. This means that only 4×4 vehicles are allowed to make the journey. If you are renting a vehicle and planning to forge the river yourself, I suggest contacting ÍSAK 4×4 Rental for specially equipped vehicles. Super jeeps and mountain buses drive into Thorsmork daily from May until October. 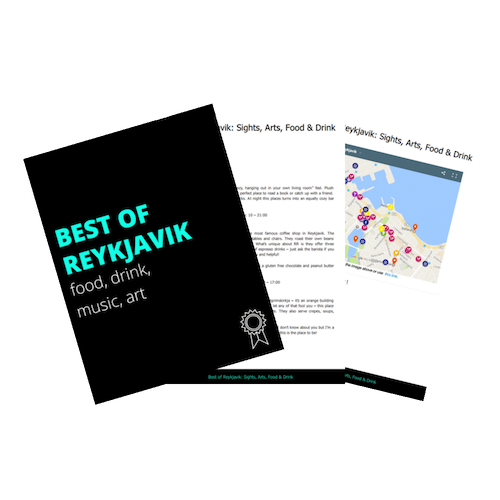 Buses depart from Reykjavik, or it is possible to hop on at different locations along the way. Trex, Reykjavik Excursions, and Sterna all make multiple trips in per day, check their websites to reserve a ticket. There are two long treks that end directly in Thorsmork – Fimmvörðuháls and Laugavegur. Fimmvörðuháls is an 8-10 hour trek that starts at Skogafoss and crosses extremely difficult terrain into Thorsmork. The Laugavegur trek is a multiple day hike that starts in Landmannalaugar and ends in Thorsmork. AKA, although ridiculously scenic, these hikes are definitely not the easiest ways to get there! The Volcano Huts are located in the Húsadalur valley in the middle of the Thorsmork nature reserve. This is where the Laugavegur trek officially ends, and is a very popular place to stay in the summer months. Here you can camp, stay in a multi-person dorm, or rent a private hut. With easy access to the best hiking trails in the valley, Volcano Huts is an amazing place to be! Þórsmörk is a hiker’s PARADISE. And while hiking might be the most popular reason to visit this gorgeous area, there are plenty of other activities to enjoy during your stay. Valahnukur | A short loop that starts and ends at Volcano Huts, with breathtaking views over the valley. This hike can easily be done in 1.5-2 hours. The nice thing is, you can also add this to either of the routes below. Tindfjöll circle | This was the second route we did and LOVED IT. The loop takes about 5-6 hours where you hike further into the valley bringing you up close and personal to the glaciers. I canHIIIIIGHLYrecommend this hike this was my favorite part of the weekend – unbelievable views! Fimmvörduháls | Fimmvörðuháls is a very popular trek that begins at Skógafoss and ends in Thorsmork. I completed this 30 km route in June with some good friends. Loved every minute, highly recommend this hike! Laugavegur | The Laugavegur trek is perhaps the most widely known hike in Iceland. Starting in Landamannalaugar and ending at the Volcano Huts in Thorsmork, this trail offers unbeatable scenery. Some people choose to combine these two treks by adding the Fimmvörðuháls hike after they complete Laugavegur. Yard games such as frisbee, croquet, etc. Yoga – available to groups upon request. Massage – available to groups upon request. Sauna & Geothermal pool – a great way to relax after a long day of hiking! Layers – moisture wicking hiking gear is a must, at one point I was wearing full rain gear, the next moment I was down to my tank top. Waterproof outerwear – conditions change rapidly, it’s important to be prepared for all types of weather! Hiking boots – sturdy boots are essential for all the rugged terrain in the highlands. Backpack – a small backpack will suffice for day trips out of the base, but make sure it’s comfortable! Waterproof cover – I highly recommend a cover for your pack – if it rains, you don’t want wet gear! Walking poles – I got some of these this year and actually love them! At the risk of sounding like a grandma, sometimes it’s nice to have something to hold onto! Snacks, snacks, snacks! – Hiking these crazy terrains makes ya hungry! I’m always craving salt when I hike, so I make sure to bring trail mix along with sandwiches, fruit leather, gel packs, etc. Waterbottle – start with a full one and refill in the fresh glacier streams! Extra battery packs for your phone and camera – you don’t want to miss out on any picture perfect moments! Small first aid kit – bandaids, vaseline, and pain medicine. All that hiking might create friction – better safe than sorry! Getting to the Volcano Huts requires crossing a deep and swift moving glacial river. This is NOT suggested for most vehicles, even if you have a 4wd! If you’re traveling by car, it is impossible to reach the Volcano Huts by yourself. Please read the information on Volcano Huts website about getting there by car. The Volcano Huts ARE open during the winter, although the road is marked impassable (meaning not serviced). Scheduling a Super Jeep tour into the valley is the only way to get there – where snowshoes replace your hiking boots for a fun winter adventure! Once in the valley, there are no stores for food or supplies – make sure you are equipped with everything you need before heading into the highlands. However, Volcano Huts does offer a full restaurant with scheduled times for breakfast, lunch, and dinner. They also offer a packed lunch option for your hikes, just make sure to schedule it in advance! Use the app 112 for safety, and check in before you leave for your hikes. Interested in staying at the Volcano Huts? Check availability below and start planning your stay! Question: Are you venturing into the Highlands on your trip? *I was a guest at The Volcano Huts, but as always all opinions are my own. I only recommend places that I have experienced myself and love! The lodging where we are staying around Hella has a super jeep and (for a fee which is less than some of the tour companies I contacted) will take us to Thorsmork for the day. Is there a great short hike (or two), or a spectacular viewing, that you would suggest we could add to our day trip (to make it more than the ride in and out)? Will all locals be familiar with the Valahnukur hike you mention? Thanks for your help. Yes Valahnukur is a very popular route. The super jeep tours will likely drop you off at one of the base camps, so you will be able to ask someone where to hike or at the very least see a hiking map. Pretty easy to navigate once you’re in Thorsmork. Have fun! Jeannie! Your photos of your iceland adventure look amazing! I was wondering if you might be able to tell me where the first photo in your blog post was taken? (the one with you in a green jacket, overlooking the valley with a spire in the foreground). On which one of the hikes can I find that place? It looks absolutely surreal! That photo was from the hike to Valahnúkur – the most popular hike around Volcano huts. You will see that lookout on the right on your way up! These photos are beautiful! Iceland is next on my bucket list of places to go! Awesome post and I’ll definitely be saving it for later when I actually plan my trip there! Super practical post. Iceland seems like the kind of place someone would quickly run out of adjectives to describe… It’s just so beautiful! Great job putting all this info together. Wow, this place is gorgeous! 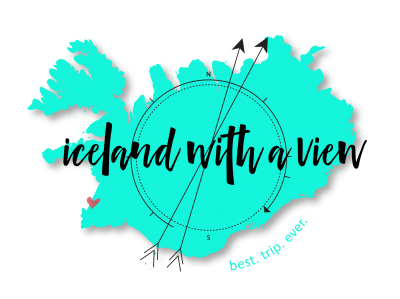 I seriously knew very little about Iceland before this post, but thank you so much for sharing it! I want to gooo now! Wow this looks beautiful!!! I’m adding this to my travel list ty for sharing !!! Yay, thanks so much Sandra! Oh wow, this does look too good to be true! The Volcano Huts looks SOOOOO cute! Now I really need to grab a friend who can drive to drive me around in Iceland haha. This is gorgeous! We missed the highlands during our one week trip last year but I’ve convinced myself it was meant to be as now I’ll have to go back. And when I do I’m definitely adding this hike, thank you for the tips! Yes, I hope you get to experience Iceland soon Birthe! Valahnúkur is a short hike that we did – beautiful views over the valley. This looks SO amazing! Me and my boyfriend are hopefully planning a trip to Iceland soonish and this is definitely like, the top of my list now! The skies look AMAZING! especially those clouds! We definitely lucked out with good weather that weekend! Wow this is absolutely incredible! I spent 5 months in Iceland in 2010, from January to May, so I didn’t get a chance to see any of Iceland’s interior. I only hiked to the hot spring in Reykjadalur (like you, only that there wasn’t any infrastructure there then) and from Skogafoss to Eyjafjallajöküll which was erupting at the time. Thorsmörk is high on my list of hiking trips to do one day – your photos definitely make me want to do it soon 🙂 Was it very busy there during summer? Oh wow Kathi, how amazing you got to experience the volcano erupting! My favorite part about the highlands is that there are so few tourists that go there! Even in the summer because it’s so big of an area, you hardly see other people. A true hidden gem! Oh wow that is a steep price for a guided hike! You will be able to do it by yourself no problem. Especially if you are staying at Volcano Huts, they have maps and can assist you if you have questions. There are decent signs at various points throughout the trek. Have a great time! Oh I want to go back! And what a beautiful weekend that was, I miss summer! Wow, that is some stunning scenery. I would love to hire a 4×4 and go back to Iceland during the summer so I could visit places like that. It looks so untouched and out of this world. You’re making me want to go back to Iceland even more!